Here is our new pet, Hawk. Okay, he isn't our pet but we see him a lot. Dad came in yesterday adn told me to get my camera. 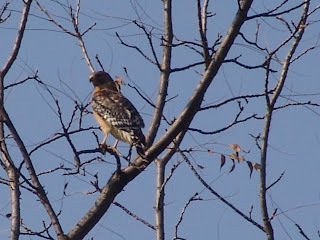 I got great pictures of him for Ry, he LOVES hawks. he was thrilled when he got home and saw the pictures! 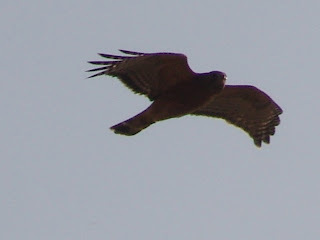 I love the pic of the hawk flying. Those are great shots!!! Did you name him yet??? Those are really good pictures! I think Hawkeye Pierce would be a great name! Yep, Hawkeye Pierce it is. I love the one of it flying! Beautiful pics. Who says a Golden isn't a lap dog?